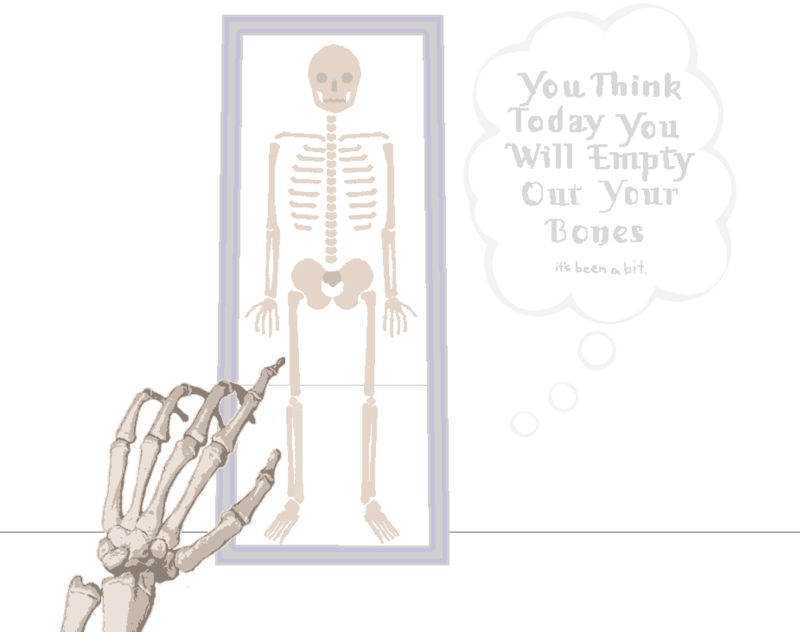 You are a hollow boned human skeleton organizing the garbage in your bone cavities. Both the bones and the crap is clickable. Double-click the downloaded file to unzip it. Open the folder corresponds to your operating system and double-click the file titled "yourbones".